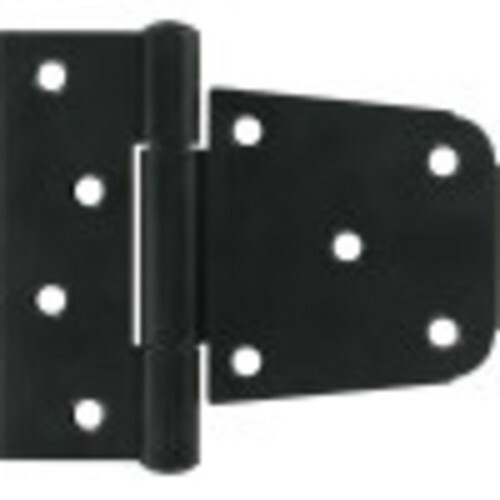 The Builders Hardware "Heavy Duty T-Hinges" are designed for 2x4 and 4x4 post applications. Used for projects with wide mounting surfaces such as storage bins, barn doors, gates and tool boxes. Fixed pin is non-removable. Great for right or left handed applications.